The sinking ferry took some 94 lives, most of them women and children celebrating Nowruz, according to news reports. Mosul's civil defense agency reportedly said most on board could not swim. “The Secretary-General conveys the solidarity of the United Nations with the Republic of Iraq as well as its readiness to support national assistance efforts as needed”, Mr. Guterres’ spokesperson said in a statement. 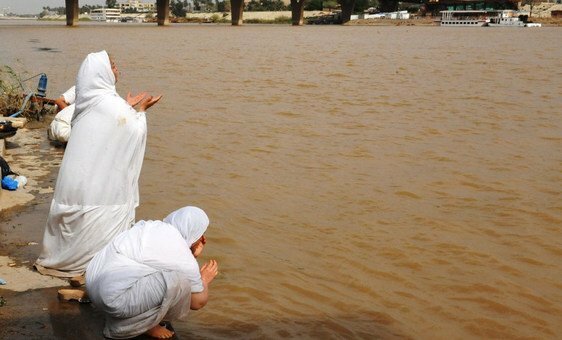 Fed by melting snow from the mountains in Turkey, as well as a particularly precipitous rainy season, the Tigris was running high as the vessel headed toward Umm Rabaen island, about 2.5 miles north of Mosul's city centre. News reports indicated that at least 19 children and 61 women perished, and 55 others were rescued. “The Secretary-General extends his condolences to the families of the victims, the Government and people of Iraq and wishes the injured a speedy recovery”, he concluded. Meanwhile, UN Special Representative for Iraq Jeanine Hennis-Plasschaert expressed her her “deep sorrow” in a tweet. “Our hearts go out to the families and relatives of the victims”, she said, calling it “equally tragic” that the disaster occurred on the first day of Spring, “when many people were celebrating the Nowruz holiday”. “A thorough investigation will tell us what exactly happened and why there was this loss of life”, she added. 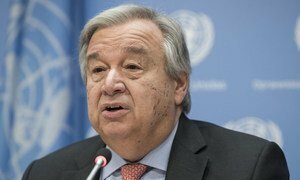 United Nations Secretary-General António Guterres issued a statement of condolence and solidarity after a passenger ferry capsized on Lake Victoria, in Ukurewe district of Tanzania.